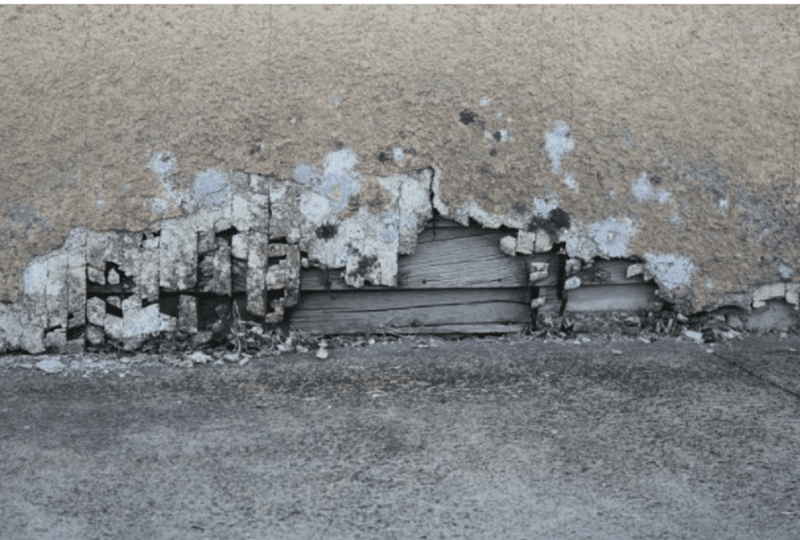 What is Toxic Mold Litigation? To understand if your situation requires a toxic tort lawyer, it is important to first identify and understand what toxic mold is. Mold is a fungus which is essentially everywhere, and certain types of mold, known as toxic mold, may cause severe personal injuries and/or property damage. Toxic mold refers to those molds capable of producing mycotoxins which are organic compounds capable of initiating a toxic response in vertebrates. Toxic mold generally occurs because of water intrusion, from sources such as plumbing problems, floods, or roof leaks. It is this ageless life form that has spawned a new species of toxic tort claims and has had legal and medical experts debating the complex health implications that follow. Here is some information as to what toxic mold litigation is and when you should hire a lawyer for toxic mold. Toxic mold litigation is particularly complicated, as it often involves multiple causes of action, can implicate multiple defendants, and requires specific medical and scientific expertise. Some injuries and health conditions can be caused from exposure to toxic mold, including but not limited to, respiratory problems, flu-like symptoms, headaches, and skin irritation. Determining the proximate cause of the toxic mold is difficult because it could be the result of construction defect, faulty materials, poor architectural design, or if in a residential building, failure to disclose of mold by the previous owners of the property. The most common theories of liability related to alleged toxic mold injuries include negligence, failure to disclose, breach of warranty, and bad faith. Litigation can arise against developers, contractors, sellers of property, or against landlords if it is determined they knew or should have known about the problem. Because toxic mold litigation is very time consuming and expert-intensive, it is important to know when you should hire a lawyer. When should you hire a lawyer for toxic mold? Toxic mold cases tend to be a combination of various areas of law including: (1) construction law; (2) personal injury law; (3) contract law; and (4) insurance law. It is widely accepted that property can be damaged, and injuries may occur, because of toxic mold exposure. The challenge in most toxic mold cases is establishing the causal link between the exposure to toxic mold and the injury(ies) claimed. This causal relation must be established early on, and the facts must be specific and proven through expert testimony usually as to the standard of care in the handling of the elements that caused the toxic mold to grow. It is important to hire a lawyer when dealing with toxic mold because a lawyer should determine: (1) a person has suffered a bodily injury or property damage occurred; (2) that injury or damage was the result of exposure to toxic mold; and (3) someone is liable for the damages caused by the toxic mold. Without having an experienced toxic mold attorney at your side to establish or dispute the causal link, you could be stuck paying for damages such as, past and future medical bills, mental anguish, pain and suffering, and property damage. Mold generally grows and spreads because of moisture in the home or building from sources such as plumbing problems, floods, or roof leaks. While visible “black mold” is common, there are a variety of strains that can cause health issues to residents of homes and businesses. Other signs of exposure to toxic mold can be personal ailments. Exposure to toxic mold can lead to health issues including, but not limited to, allergic reactions, respiratory difficulties, flu-like symptoms, headaches, and skin irritation. Mold spores are naturally everywhere and can enter the homes through windows or open doors, pets, or even attach to people. Mold will grow when excessive moisture enters a home or commercial building. If you have discovered mold in your home or business or are experiencing health issues which may be caused by toxic mold, you should contact a lawyer immediately to discuss your situation and legal options. Bremer Whyte is a leader at cutting edge scientific research and medical/technical evaluations of claims for its environmental toxic tort and habitation cases, and we work closely with the acknowledged leaders in the scientific and technical fields to provide the best evaluation and defenses for our clients. We offer highly respected, well-seasoned trial counsel who combine their litigation skills with well-known expertise in early evaluation, mediation and alternate dispute resolution. BWB&O has vast experience and has successfully defended and tried cases involving toxic mold and alleged resulting personal injuries and property damage. If you are facing claims related to Toxic Mold, please contact us for a consultation today.